Singapore, as I've mentioned before, is really small, but it still has to cram into its territory all of the things that a regular country has. That includes a vacation spot, which a friend and I saw today. East Coast Park is about 20 minutes from downtown, but it's definitely got a different feel to it. This is where Singaporeans go to hang out at the beach, to rollerblade and camp out and to pretend they're somewhere else. A friend and I visited it today, not so much to experience the beach life (although I did get quite a sunburn) but more importantly to try a good hawker center there. 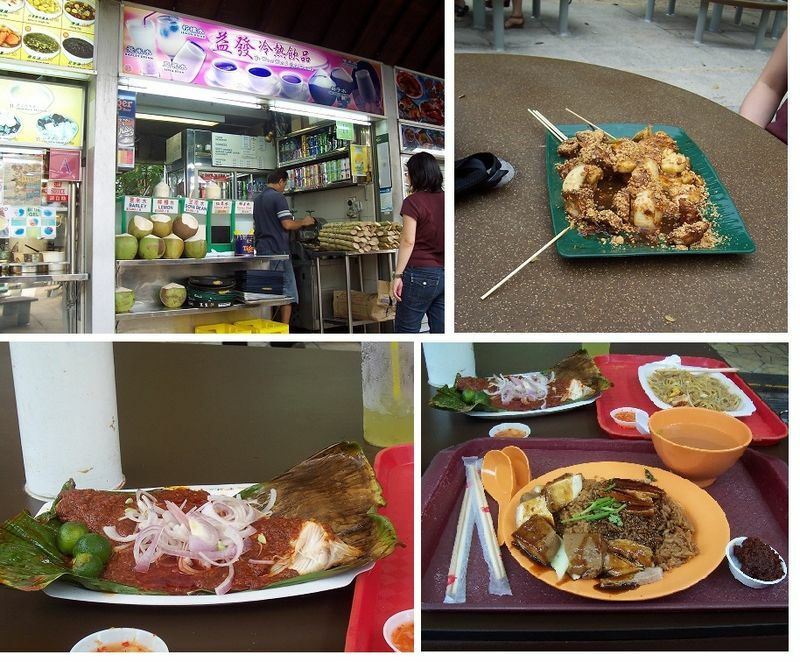 Hawker centers, I should make clear, are a uniquely Singaporean thing. All over Asia, it's common to see little stands that spring up in heavily-trafficked areas that sell small dishes or quick meals. They are known as hawker stalls. Well, Singapore decided some years ago that a modern city doesn't have hawker stalls, but it didn't want to get rid of them altogether, so it decided to create hawker "centers" where the government provides the infrastructure and monitors the quality but the individual hawkers can still do their work. There are probably a dozen of these centers, one of which is convenient to East Coast Park. My friend and I decided to order some specialties: sugar cane juice, grilled stingray, roast duck rice, and rujak (mixed fruit with sweet-peanuty sauce). Great way to spend the afternoon.